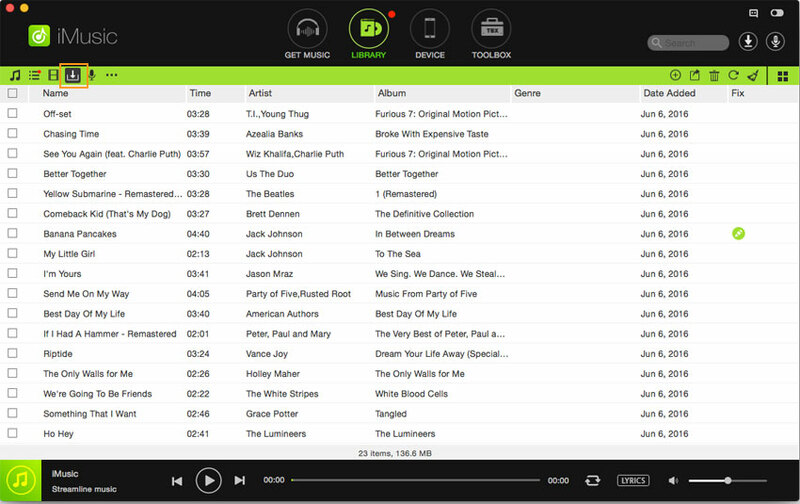 The necessity of owning the Spotify ripper will help a music lover to download songs from Spotify. As there are many applications that provide the opportunity, we decided to present you with 6 handpicked rippers that you will find it helpful in ripping music songs from Spotify. Discover Tracks - With the built-in music library, users can quickly discover their favorite songs using artists name, hottest playlist, trending songs, or genres. It also allows to download the song and add it to a playlist for personal use. Download Music – It allows to extract music from over 3000 websites including YouTube, Spotify and other leading audio and video hosting services over the Internet. You can directly download songs to MP3 format. 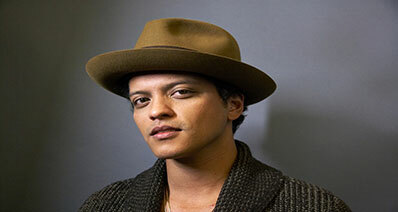 Record Audio - The feature will allow the user to record a song that is streaming online. The program will download the ID3 tags and other information in the background automatically. Transfer Music - iMusic will allow you to transfer songs between computers/Mac and Android/iOS devices, and between iOS and Android devices using drag-and-drop feature. Backup Music - You can create a backup of your existing library and move it to a new system when you are migrating or sense a corruption of the existing library. Fix iTunes Library - The option will help in fixing iTunes libraries for broken tracks, mislabeled songs, adding covers, and removing duplicate tracks. Music Toolbox - It has all the necessary features including removal of DRM protection, creating car playlist, and burning CDs. 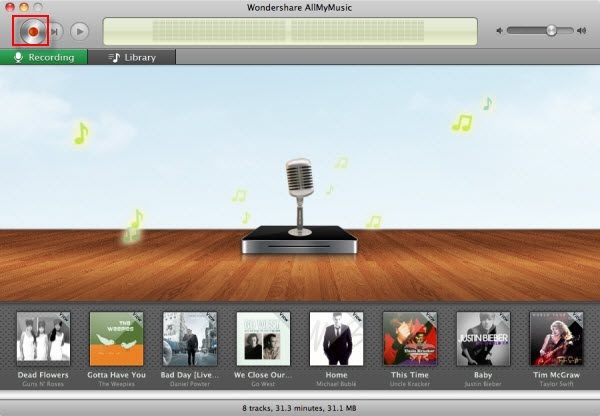 Step 1: iMusic is available as a trial version, which users can download from the official website. After competing with the installation, launch the program and choose “GET MUSIC” feature from the menu bar. 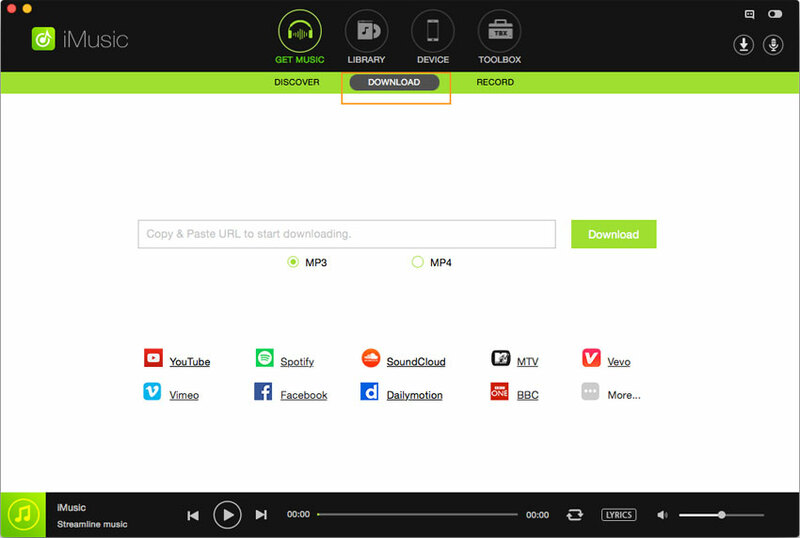 In the same window, opt for “DOWNLOAD” option to begin downloading songs from Spotify. Users will notice the following screen appearing with the URL paste box. 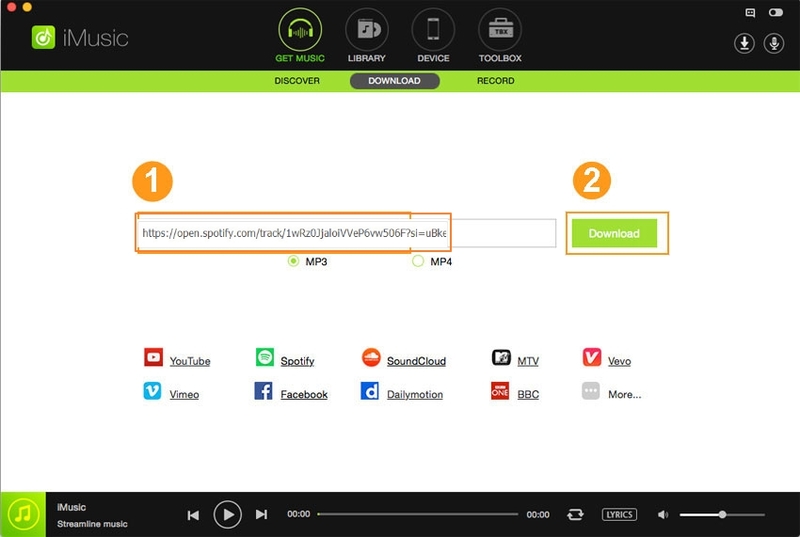 Step 2: You can now open Spotify website, search for your favorite song, and copy the URL of the song. Paste the duplicated URL of the song in the paste box provided within the iMusic window. You can select MP3 as the format and press the download button to save the song to the computer. Step 3: You can check for the downloaded song by clicking the Library button from the menu bar and choosing the download icon at the top left side of the screen. 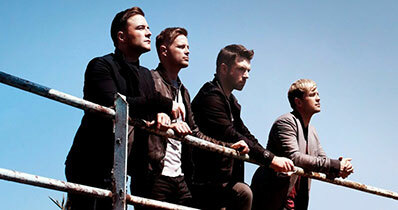 It is an essential program that helps to record songs from Spotify and other online streaming web portals. 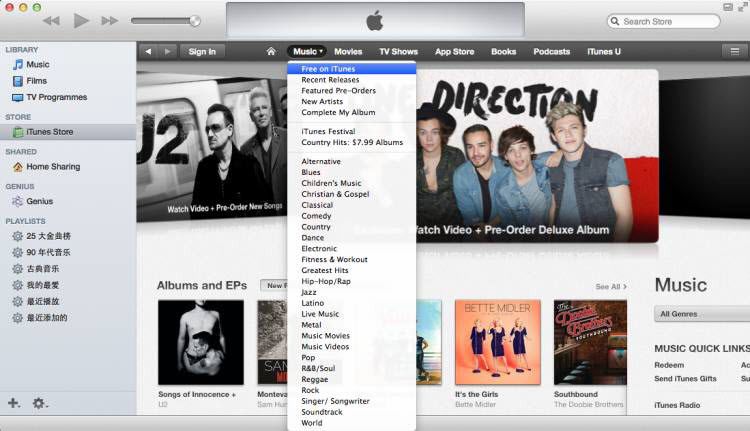 The interface is similar to iTunes with easy-to-use options. Apart from extracting songs from Spotify, the system is also helpful in burning CDs and saving tracks to the hard disk in a few simple clicks. The audio recorder is helpful in recording songs directly from any application including web browsers, online streaming radio channels, and online websites such as a Spotify and YouTube. One can also extract audio from video files from YouTube or Facebook. One can save the recorded songs into popular formats such as MP3, WAV, AAC, AC3, FLAC, M4A, and OGG. 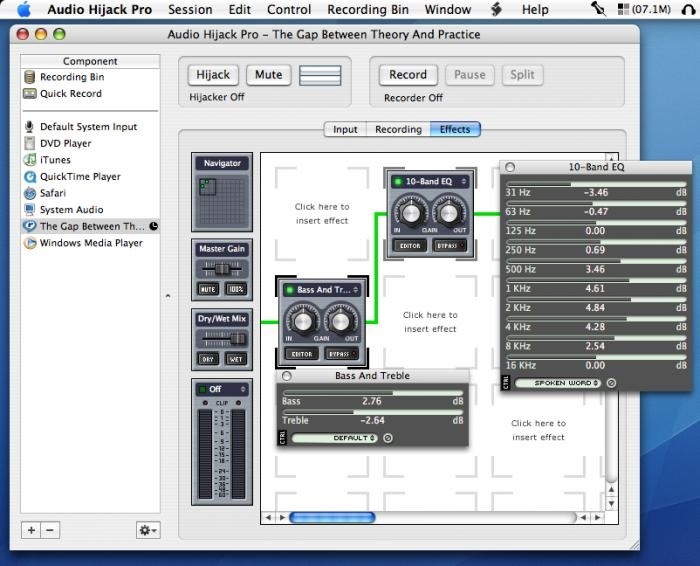 Audio Hijack Pro is a good tool for those who would like to record online streaming songs from Spotify. 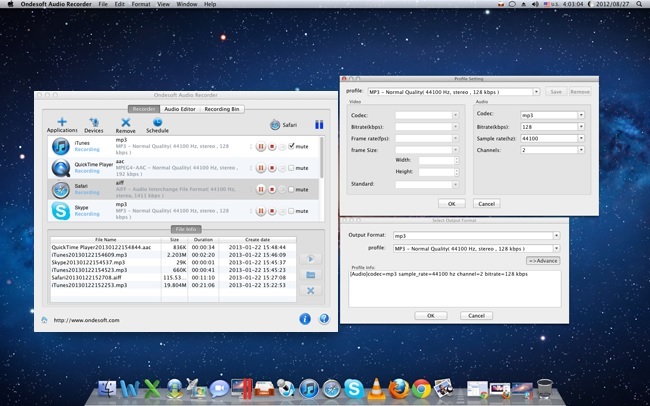 Users can also send files, rename titles, preview recordings, and burn them to CDs. A benefit of the program is the provision to add 50 plugins that will enhance the audio effects. It also gives the possibility to track the remaining space available on the hard disk. Soundflower is a free audio recording application that helps in recording audio/songs from Spotify. 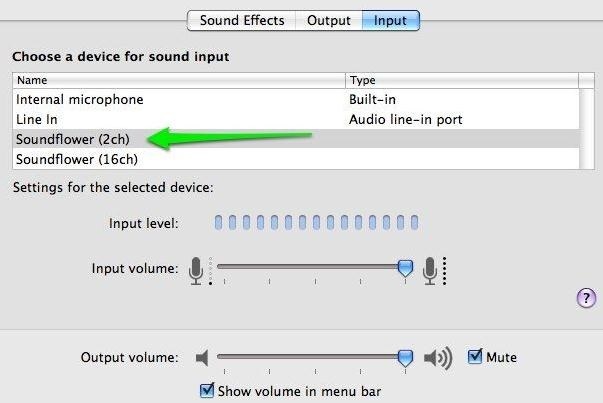 It is capable of routing different audio applications to your computer in their original quality. Additionally, it supports both to channel and 16 channel audio bits. Adjusting the configuration is important to avoid interference while recording a song. 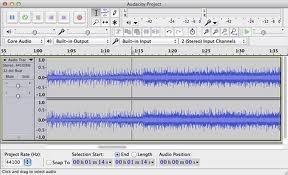 Audacity is a prominent tool for aspiring singers, DJs, and producers. It provides the ability to record audio and edit the same with extensive features. Configuring it correctly will help in recording songs from Spotify. 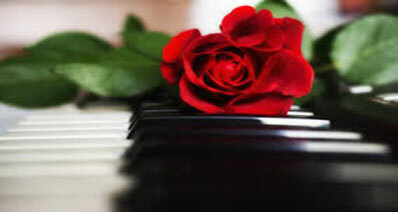 Setting up the software is simple and records a song with no loss of quality.